What is the Graduation Enhancement Program? A new name devised by the District School Board of Pasco County for Florida’s old Educational Alternatives-Dropout Prevention Program. This program is funded by the Dropout Prevention Act of 1986. The main objective is to keep students on-track for graduation and prevent them from dropping out of school. Today, studies show a high school diploma is valued at $309,000 from K-12. In Pasco County there are many programs under the Graduation Enhancement Program. Here at Pasco High, we have two programs: Student Support and Cohort Credit Recovery. Student Support and Assistance Program – Believing that all children can learn and that environments conducive to learning can stimulate student success. This program focuses on academic, social, emotional and physical needs of each individual “at-risk” student. For whatever reason, students may become Off Track and At Risk during their school careers. It is the job of the Graduation Enhancement/SSAP teacher to serve as a case manager who develops an Action Plan for each student and monitors his/her attendance and academic progress until graduation. The SSAP teacher will provide academic advisory services, special pull-out programs and communication between home and school. This computer-assisted –instruction laboratory setting will be utilized during academic class periods. Online curriculum will include course work in all subject areas to prepare students to demonstrate mastery of Florida student performance standards in any given course. An academic teacher will work with students on improvement of mathematics and language arts skills and progressing through social students and science curriculum. For further questions about these two Graduation Enhancement Programs housed at Pasco High, please contact Mrs. Webb or Mrs. Palmer at 352-524-5500. Please remember to return SSAP permission slips to Mrs. Webb or Mrs. Palmer. If your student was SSAP last year, he/she will be given another permission slip for this year for contact info etc. If I do NOT hear from you, your student will remain on the SSAP roster. Also being sent home with students is their Graduation Status reports which lets students and parents know current GPA for Graduation which is unweighted GPA and number of credits earned. Also shows courses needed to graduate. Student Conferences are currently underway in the CCRP- APEX Lab discussing an Action Plan for the upcoming year with areas of focus such as: attendance, academics and/or behavior. Students are also being encouraged to check Mystudent daily to keep up with assignments and progress. Parents you too can set up an Mystudent account as well. Students are encouraged to make up credits in the CCRP-APEX Lab but for underclassmen, they will need to see counselor to sign up for FLVS online courses. Need help registering??? See Mrs. Webb or Mrs. Palmer. Night School begins on Sept. 4th. See your counselor at lunch or before or after school. Students who wish to take the ACT or SAT can sign up online. View the ACT/SAT testing schedule and registration information on our school website by clicking here. 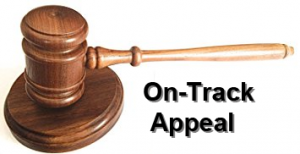 Students on Free/Reduced Lunch can obtain only 2 ACT waivers during high school. Ms.Edwards, Career Specialist has those waivers along with SAT waivers. Anyone needing help registering, please see me. Passing the FCAT and/or receiving a concordant score on ACT and/or SAT is a graduation requirement for the Class of 2014. Other very important graduation requirements include at least a 2.0 GPA and 24 credits. 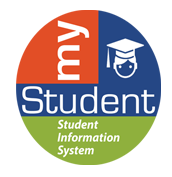 As we begin the school year, please remember ALL PHS students should have their own Mystudent accounts and should be checking grades and assignments daily. Please see Mrs. Webb or Mrs. Palmer if you need assistance with your account. There is a section for upcoming assignments and missing assignments. Students be sure to check how each teacher weights his/her grades! It is important to attend, do classwork/homework so that you can pass the tests! Interested to see what your learning style is and ways to improve your study habits? Click the link to see! You must LEARN to EARN your Pasco High diploma, so start TODAY!